I hope your week is going well. I am finishing up some personal projects this week, and it feels good to make time for other things. One of these projects is a Whistle and Ivy Original embroidery pattern. I am so excited to share it! 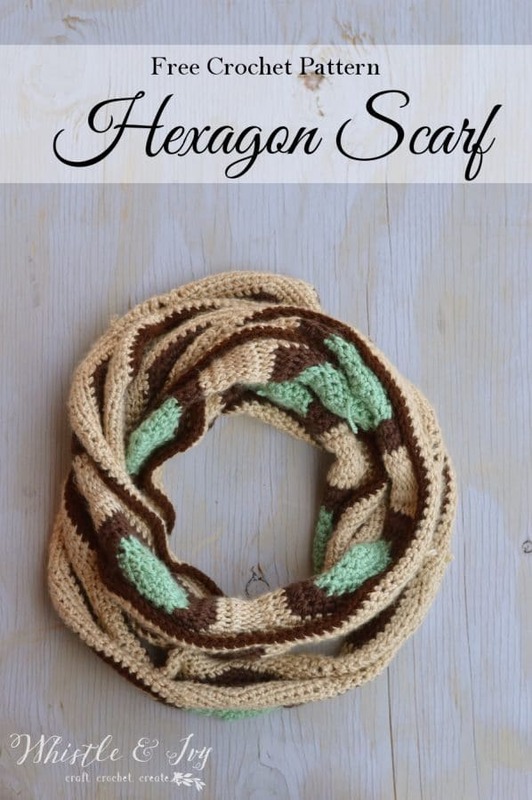 I want to give it to the intended recipient before I can share it, but tune in next week for the free pattern. I am loving this new craft and I am brimming over with ideas. Now, I just need to find the time to make them happen! 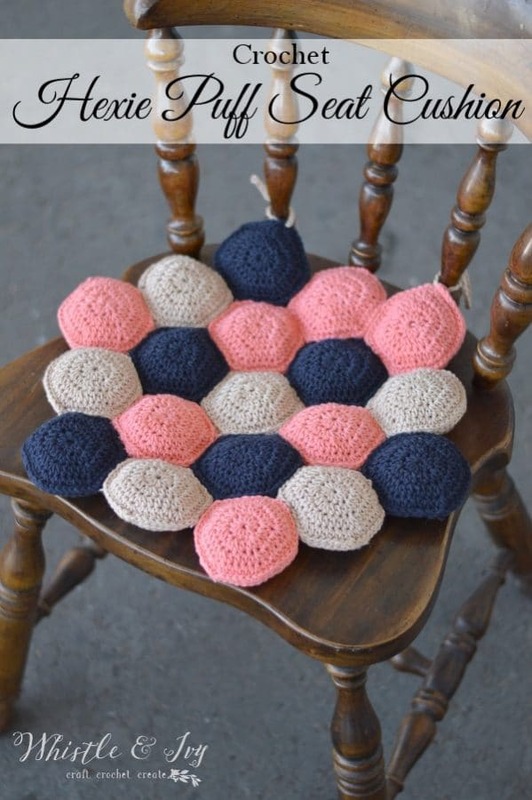 Today I am sharing the pattern I shared on Stitch and Unwind a few months ago, this fun Hexie Puff Seat Cushion crochet pattern. This post has affiliate links. For more info click here. I have been loving hexagons lately. A few bloggers and I did a fun crochet-along with them at the beginning of the year, and I have been hooked since. I have a few project ideas in the works, but first I needed to write a simple hexagon pattern to use for them. 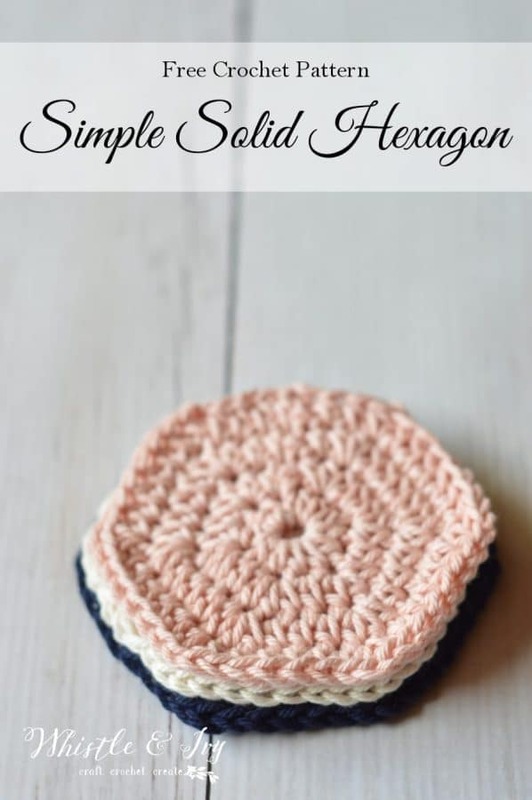 This solid hexagon crochet pattern is easy to work up, and has a great shape. Hopefully it will be useful to you with your own hexagon projects! UPDATE: Joann has retired their original sea turtle pattern and no longer has a copy on their archives. 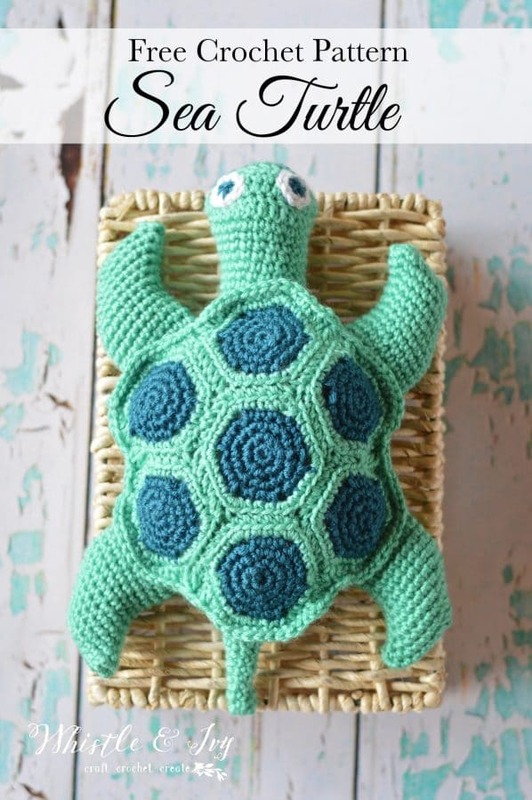 I am working on engineering a similar pattern so you can make the full crochet sea turtle. I am very sorry! I will get this written up as soon as I can. HERE is the link for the original tortoise pattern at Joann.com.